A former capital of Japan, Kyoto is a city that is jam-packed with history, culture and fascinating attractions. Whether you only have a day to explore or have the luxury of an extended stay, you’ll find so much to see and do across the city and its districts. 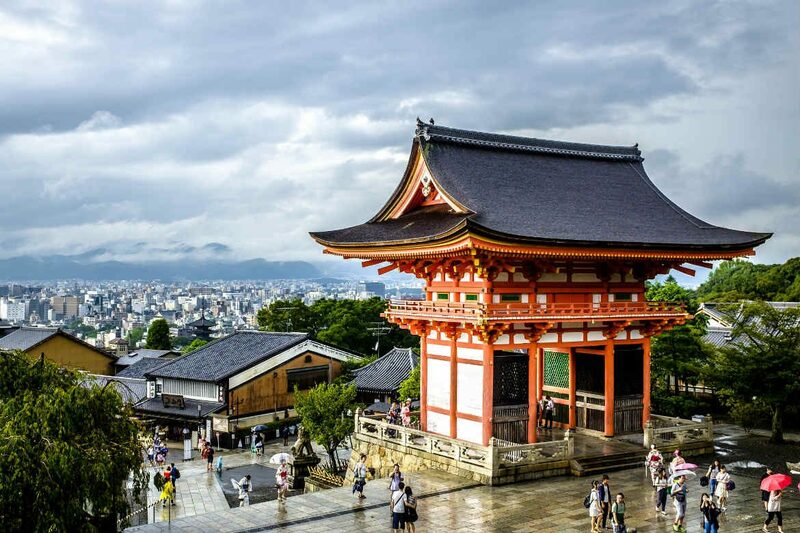 If you’re planning to visit, be sure to check out our top things to do in Kyoto! 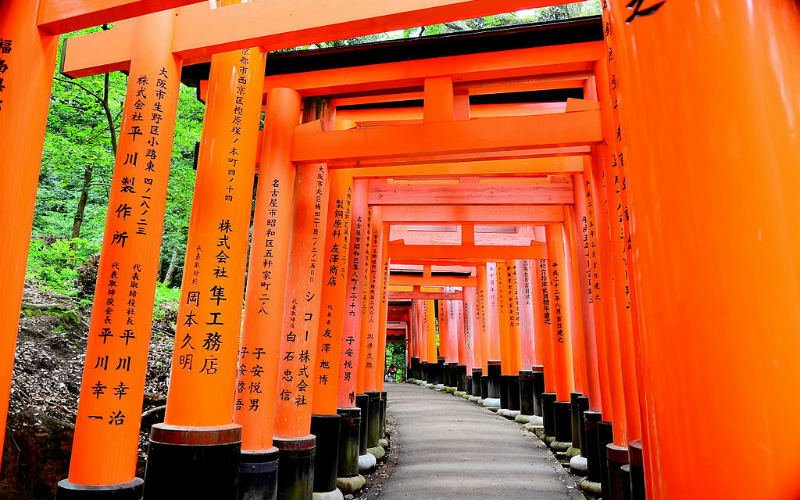 Dedicated to the god of rice and sake, Fushimi Inari Taisha Shrine is a religious site that is best known for the bright red torii gates (structures that symbolically mark the transition from the everyday to the sacred) that are scattered throughout its grounds. Numbering in the thousands, the vibrantly coloured torii gates have been placed along the pathways that wind their way around the shrine and the nearby mountain, resulting in a unique visual treat. One of Japan’s most visited shrines, Fushimi Inari Taisha is also rich with history, with some of the shrine’s earliest structures dating to as far back as the 8th century. Spend the day exploring the spectacular grounds and discover what makes this shrine so incredible. Fushimi Inari Taisha Shrine, Kyoto, Japan. Image Credit: Dariusz Jemielniak (“Pundit”) / CC by SA 3.0. 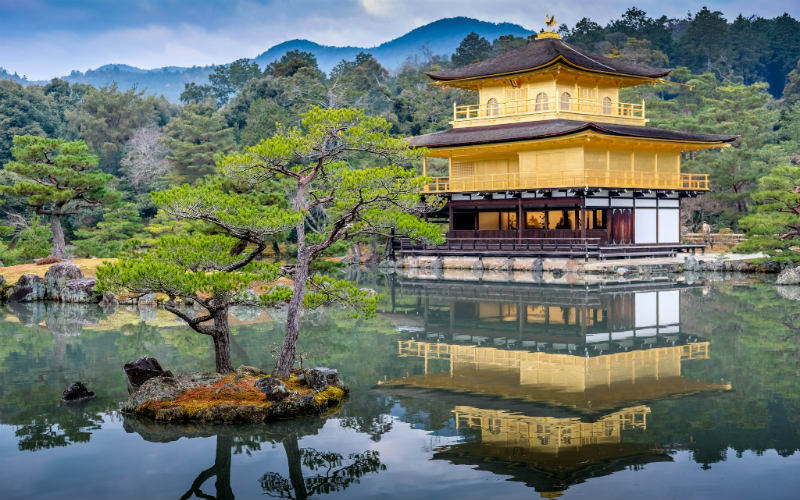 A famous Zen Buddhist temple located in Kyoto’s north, the two upper storeys of the Kinkaku-ji Temple are adorned with gold leaf, making it an incredible sight to behold. Overlooking a tranquil pond and a traditional Japanese garden, the building, which was constructed during the 14th century, glitters in the sunlight and casts a stunning reflection into the water surrounding it. Considered to be one of the city’s most iconic attractions, the temple and its grounds do get quite busy, so plan your visit for earlier in the day to avoid the crowds. Kinkaku-ji Temple, Kyoto, Japan. Image Credit: sergejf / CC by 2.0. One of the country’s most famous geisha quarters, there’s so much to discover across the historic district of Gion. 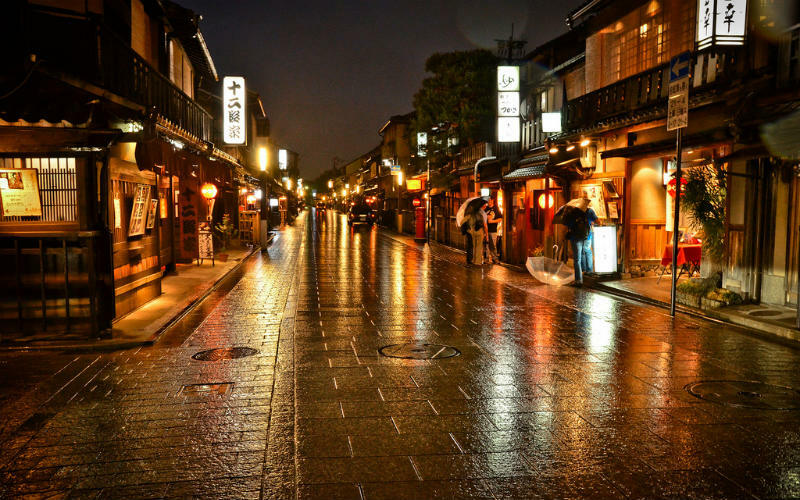 Machiya (old wooden townhouses) line the streets and are filled with traditional tea houses, bars and restaurants, while temples, shrines and other fascinating sites are also scattered throughout the district. Once the sun starts to set, Gion bursts to life with glowing lanterns, lively patrons and the daily movement of geisha and maiko (geisha in training) from one engagement to the next (taking place from around 5:45 pm to 6 pm each day). Be sure to have you camera at the ready, but take care to be respectful when taking any photographs of geisha walking through the district’s streets. Gion, Kyoto, Japan. Image Credit: David Offf / CC by 2.0. 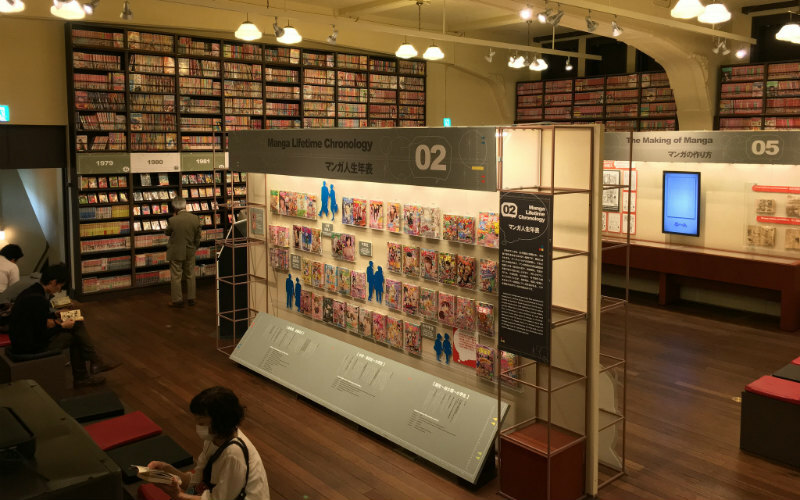 Opened in late 2006, the Kyoto International Manga Museum was founded to collect, exhibit and preserve manga materials with the hope that they would provide insights into the medium and the culture that surrounds them. Comprised of more than 300,000 items, the museum’s collection is expansive and includes everything from Edo period caricature woodblock prints through to more recent releases, providing a fascinating insight into the evolution and development of the popular storytelling style. A variety of permanent and special exhibitions are housed within the museum, providing plenty of opportunities peruse manga and learn more about its origins, themes and community. Kyoto International Manga Museum, Kyoto, Japan. Image Credit: Olivier Bruchez / CC by SA 2.0. Opened in 1964 and located close to Kyoto Station, Kyoto Tower is not only the city’s tallest building, but it is also one of its most famous attractions. 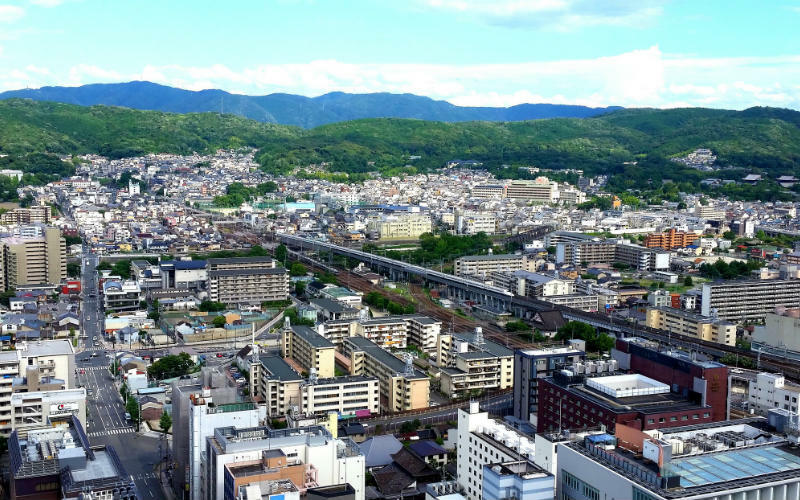 Standing at about 100 metre above ground level, the tower’s viewing platform offers great 360 degree views of the city and its surrounds, with visibility extending as far as Osaka on a clear day. Easy to get to, the tower may stand in stark contrast to the rest of the city, but is one of the best ways to see more of this fantastic city. View from Kyoto Tower, Kyoto, Japan. Image Credit: cezzie901 / CC by 2.0. A shopping street spanning five city blocks, Nishiki Market is sometimes referred to as ‘Kyoto’s kitchen’ thanks to the incredible variety of fresh produce, cooking equipment and other food related items that are stocked in its stores. 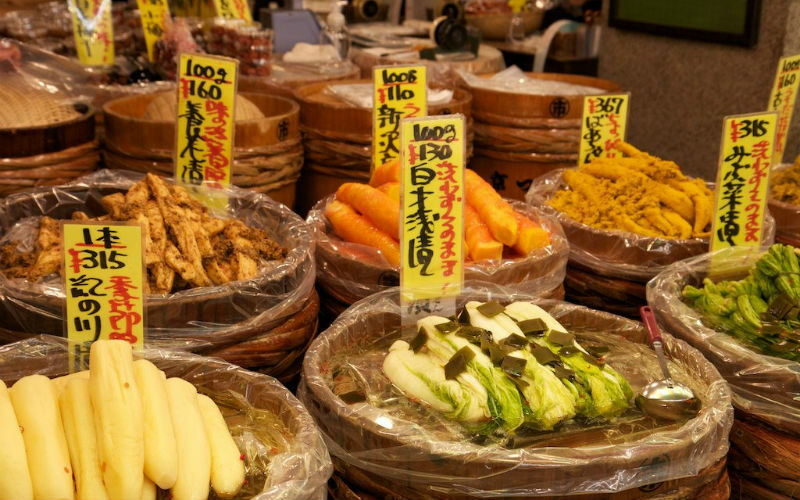 As well as offering everything needed to cook authentic Japanese cuisine at home, the market is also home to a number of restaurants, taking the hard work out of finding and preparing local delicacies. Most stalls and restaurants specialise in a specific ingredient or type of food, meaning that you’re likely to find some of the best and freshest in the region as you wander through the market. Nishiki Market, Kyoto, Japan. Image Credit: MagicOlf / CC by SA 2.0. 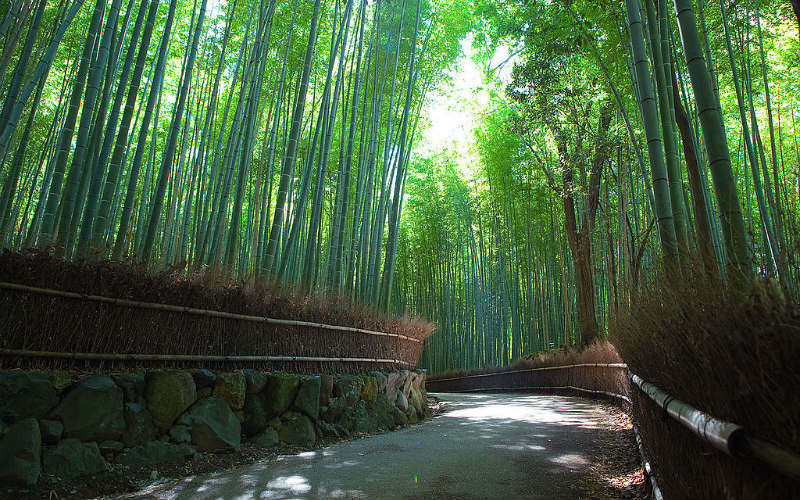 One of the city’s most photographed sights, a walk through the Arashiyama Bamboo Forest is an incredible experience. Serene and spectacularly beautiful, the forest is home to towering bamboo plants that provide an atmosphere that is hard to describe. Dappled sunlight shines through the canopy above, making a stroll through the pathway that leads through the forest incredibly special. A popular attraction, the forest is best visited early in the morning or later in the evening, when crowds are smaller. Try to avoid visiting on the weekend, which is a popular time for locals to stop by. Arashiyama Bamboo Forest, Kyoto, Japan. Image Credit: Casey Yee / CC by SA 2.0. 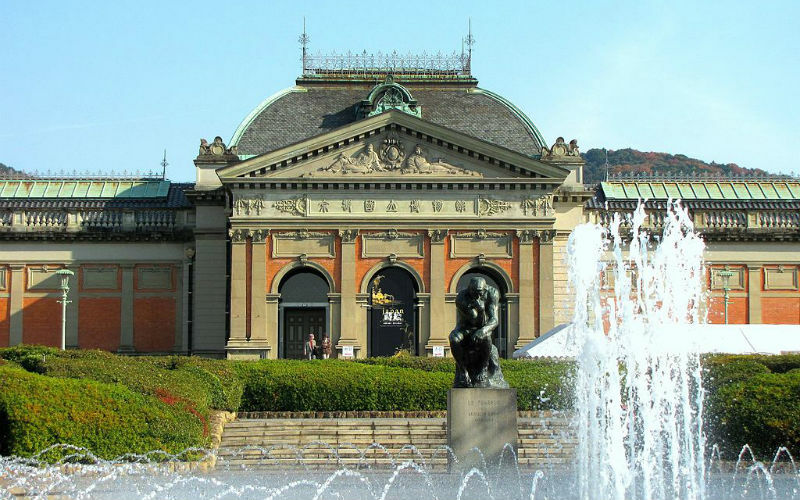 First opening in 1897, the Kyoto National Museum is one of a Japan’s four national museums and is a great place to get acquainted with traditional Japanese art, from exquisite sculptures and statues through to calligraphy, lacquerware, paintings and pottery. The museum is home to a number of fascinating permanent exhibitions, but is perhaps best known for the high quality special exhibitions held throughout the year that allow visitors to encounter unforgettable thematic displays focused on a particular artist, a period in art history or a particular art form. Of the museum’s collection of more than 12,000 works, around 6,000 are on display at any one time, meaning that there is plenty to see and discover throughout its exhibition halls. Kyoto National Museum, Kyoto, Japan. Image Credit: Yoshio Kohara / CC by 3.0. Ready to discover the beauty and culture of Kyoto? Find your perfect Japan escape with Webjet Exclusives today! Feature Image Credit: zeitblohm / CC by 2.0.